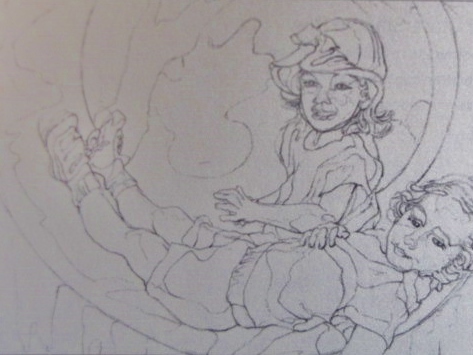 This is the first of a three drawing series of my grand daughter Anna and her friend Clare when they were very little. 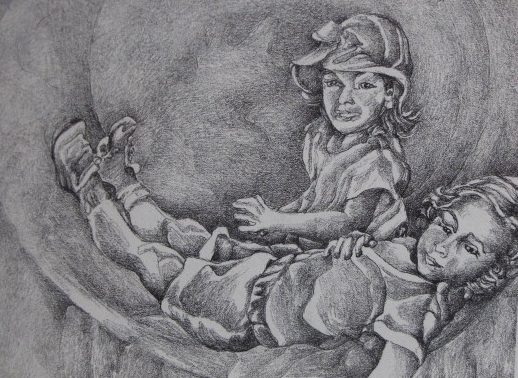 This scene depicts the two resting and thinking in a play tunnel while planning their next moves. I’m showing both the contour or line drawing with the finished gradation. You are currently reading Anna and Clare at Dr. Mary McNaughton and Drawing.